In this article, we are going to inform all about Enam Medical College information. 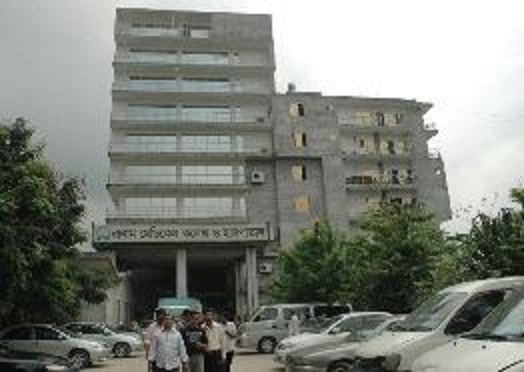 This medical college established in 2003, maintain all the criteria from Bangladesh Medical and Dental Council (BMDC), Ministry of Health and Family Welfare, and Dhaka University. There are 101 students get admitted each session in this collage. This college is recognized by BMDC and BCPS and affiliated with the University of Dhaka. This medical college is also in recognition list of IMED, AVSINA, FAIMER and WHO. We are giving a perception of Enam Medical College information with Enam Medical College admission process. In here, we have assembled all the details about Enam Medical Collage information and Enam Medical College admission process. Let’s know further more about this. All the departments list of Enam Medical College Hospital is given below. In addition to Enam Medical College information, this privet medical college offers 5 years MBBS course and 1 year internship training in their college and hospital. All the course and training curriculum is followed as Bangladesh Medical and Dental Council leading to the degree of the Dhaka University. The academic session will start from January each year or as ordered by Government. Every year, HSC/A level or equivalent examination passes candidates are selected through a competitive admission test. Enam Medical College admission details are published each year in September through online and newspaper. Foreign students also can get admission in this medical college. They should have minimum total GPA 7 in SSC/ A level and HSC/O level in total and all the certificate are to verified and approved and to get an equivalence certificate for eligibility by the office of director Medical Education, DGHS, HMPD, Mohakhali Dhaka. The foreign students should apply with their own foreign ministry attached copies of mark sheet, photograph and other required papers in the month of September to November through Embassy of Bangladesh in their country. For more about Enam Medical College admission process please contact in below addresses. Address: 9/3, Parboti Nagar, Thana Road Dhaka, Bangladesh. Enam Medical College accommodates with most modern diagnostic lab, consultant chambers, general wards, cabins, Intensive Care Unit (ICU), Radiology & Imaging, Outdoor, Operation Theater, mother & child care center, dental center, nephrology, cardiac center, and so on. So, that is all about Enam Medical Collage information and Enam Medical Collage admission process. Thanks for visiting www.bdeducationinfo.com and we hope you have found what you search for. This entry was posted in Medical College, Private Medical College and tagged admission Enam Medical College by admin. Bookmark the permalink.